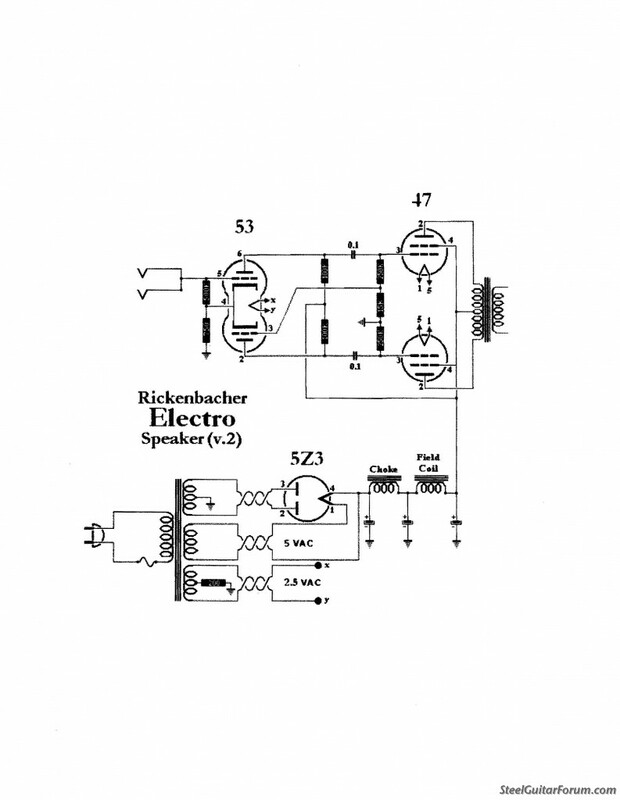 Topic: 30’s Rickenbacher Lunchbox Amps? I don't have a Lunch box, but I've got it's predecessor, the Speaker that came as a package with my 1934 A22 Frypan. I'll take a look at the Lunch Box schematic but they're very similar if not identical. I replaced all the caps and it took right off. Seems to be very flat in freq response and clean as well. There is no volume control on the amp, so you need to use your instruments volume control. Sounds plenty loud here in the house but not sure how that will hold up on stage. It was very interesting to hear how things actually sounded back "in the day". Awesome. Exactly what I needed to know. Thanks for your help and have a great day! 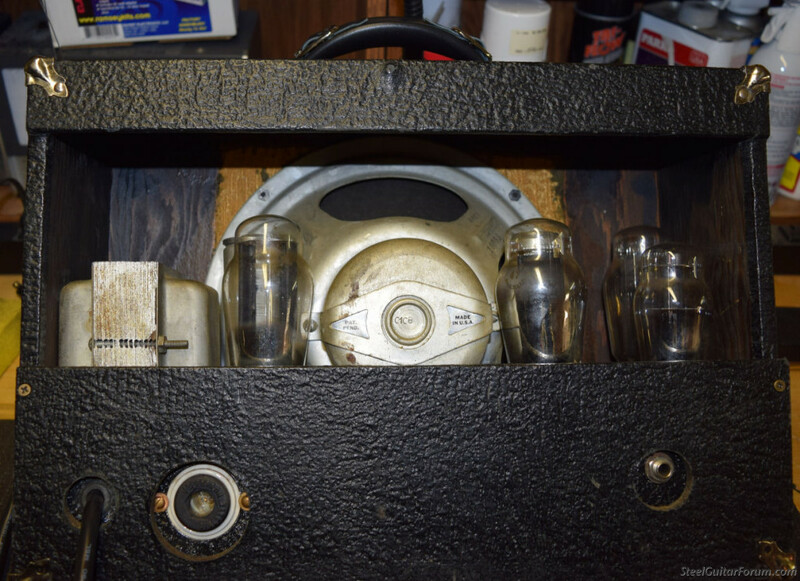 Peter, these old amps put out only about 6-8 watts, but that's louder than most acoustic instruments. 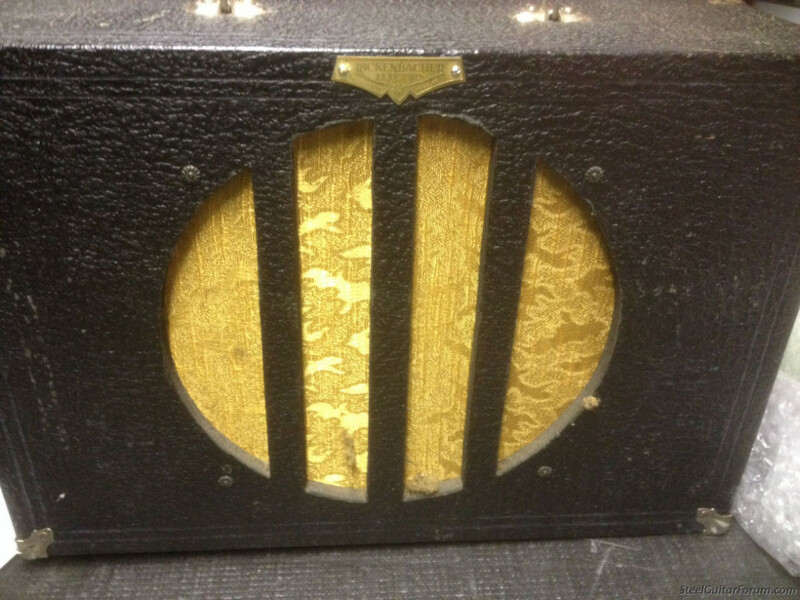 Many players used these amps back in the day in a band situation. They gave a unique sound, probably doe to the small speakers and limited tone controls. In fact, my most recent amp purchases have been newer amps, a 1 watt amp w/4" speaker, a 5 watt amp w/6.5" speaker, and a 15 watt amp w/8" speaker. I sometimes use these for practice and small basement-type gigs. There's just something about playing through a small speaker that intrigues me. It gives an instrument a different tonality and sound than you get with a big amp/speaker combination, and I like the "doing more with less" aspect of it, too!